It’s never been a better time to be a music fan. Streaming services like Spotify serve up the latest hits, but you can dive deep and listen to true indie music. Here are some of the best places to get free, legal music. 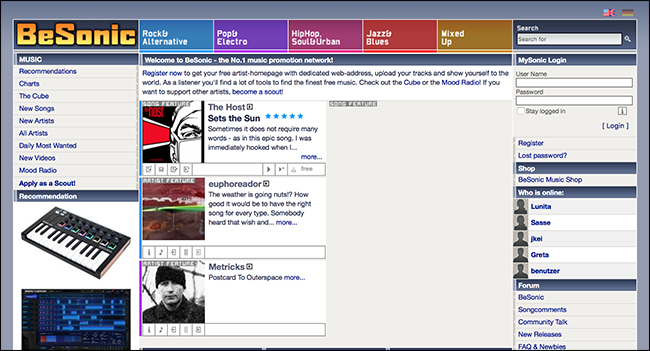 With 5,000,000 songs from 600,000 artists, SoundClick has a lot of properly independent music. Some of their stuff are badly-produced homemade demos, but there are some gems in there as well. Not all five million tracks are free, but a significant chunk of them are. Certainly, there’s plenty for everyone. BeSonic bills itself as a “music promotion network” and has lots of features for artists to get their music out in front of new ears. For listeners, this is great. 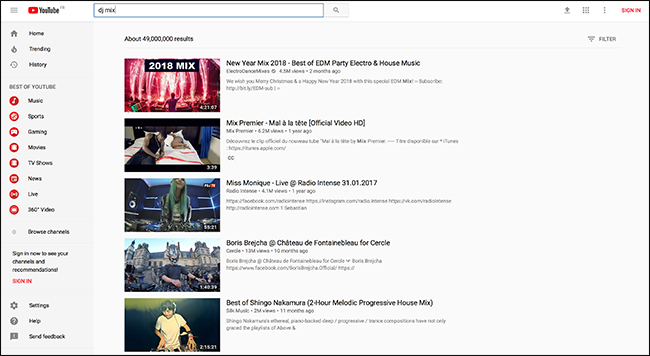 You can search by genre, but also by popular artists and keywords. You won’t find David Bowie on BeSonic, but you will find plenty of people inspired by his work. 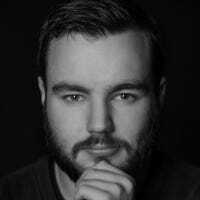 Archive.org sees it as their duty to archive the entire internet. If you want to see what How-To Geek looked like back in 2006 (and check out the awful logo), you can! 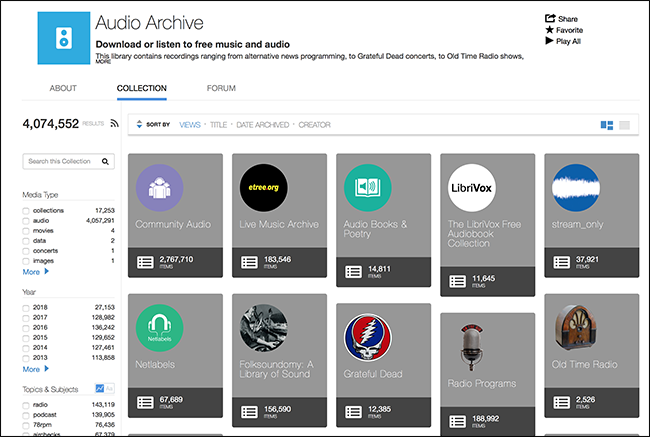 Their Audio Archive contains over 4,000,000 pieces of audio. It’s a bit of a mixed bag. You’ll find everything from vintage radio shows to Grateful Dead concerts. You’re guaranteed to find something to listen to, but I can’t tell you what it will be. 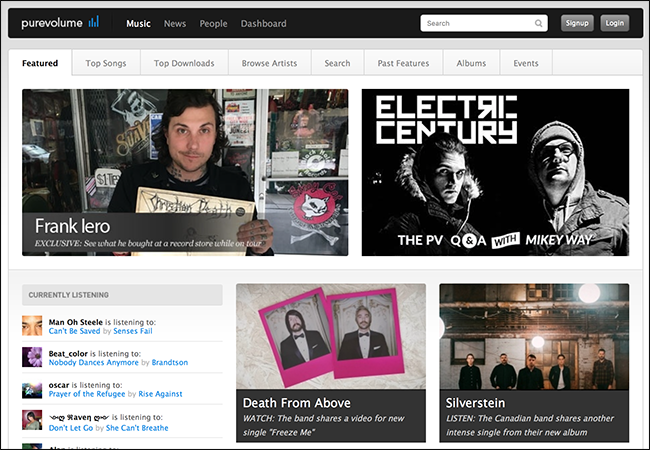 PureVolume is another music discovery site with a great search feature. Unlike some of the others, you’ll find tracks from top artists like Fall Out Boy, Bon Jovi, and The Killers available to stream, but unfortunately not download. You will however, find thousands of tracks from independent artists to download for offline listening. 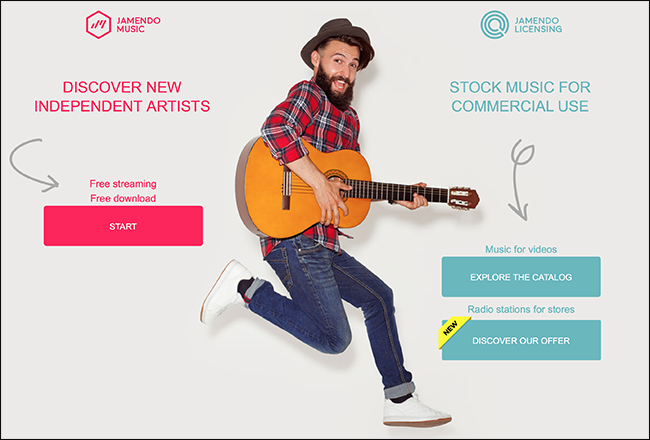 If you’re looking for stock music for commercial projects, Jamendo is probably the site you’re looking for. They’ve got lots of royalty free music with which you can do what you like. 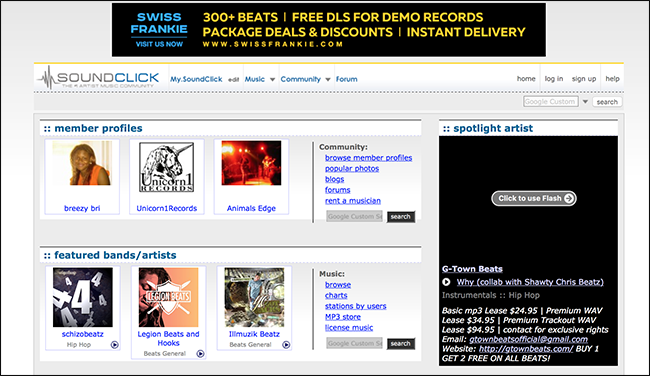 More interesting is that they’ve got a really good discovery platform where you can find new and up-and-coming artists. You’re able to filter by popularity and genre, so you can be sure to find some stuff you like. There are a lot of great music podcasts out there. 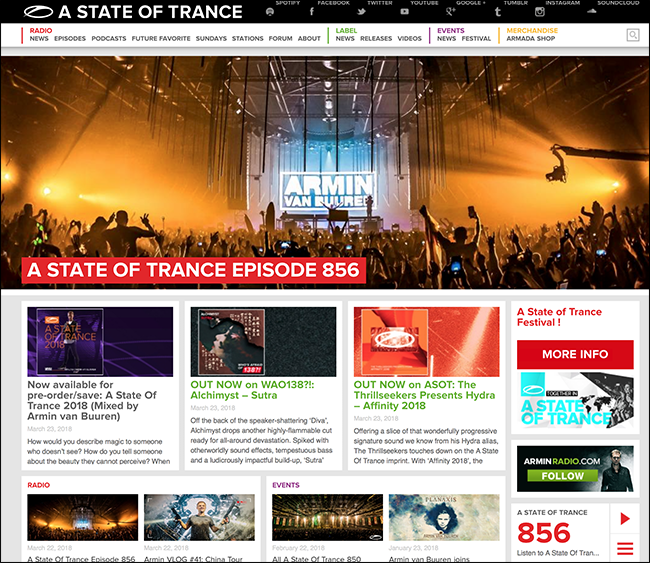 I’m a big fan of Armin Van Burin’s A State of Trance. With close to 900 episodes to download, that’s a hell of a lot of free electronic music to listen too. And it’s far from the only music podcast out there. Whatever you’re into, you’ll almost certainly be able to find a great podcast to download that fulfills your new music needs. Believe it or not, you can actually save videos from YouTube to watch later;. And there are plenty of multi-hour long DJ sets and live concerts available. In the US, this is sadly only a perk of YouTube Red, but in some of the rest of the world, it’s available as standard in the YouTube app. There’s more music than you could ever dream of listening to in a single lifetime available on the internet. I’m a big fan of Spotify, but there’s no denying that the free options are pretty great too.